A beautiful home in a beautiful location sounds great, but what does that really mean? What will your villa look like, inside and out? We’ve listened to our clients and know that it’s important to have kitchen, dining and living areas that allow for a relaxed, sociable, energy efficient lifestyle. So that’s what we’ve created for you. High Wycombe can be found at the base of Perth’s wonderful foothills. Timbertop Estate is just minutes away from the picturesque and historic Guildford, the Swan Valley’s vineyards and wineries, and the arts and craft centre of Kalamunda. Right on the doorstep of Perth’s state forests, and regional and national parks that stretch along the Darling Scarp, this location really is beautiful. Timbertop Estate offers an ideal place to enjoy the outdoor lifestyle. You can walk the nearby nature trails or simply breathe in the peaceful atmosphere on your porch. All this fresh air, and it’s only a 15 minutes to the city. 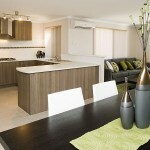 As well as 3 bedrooms and 2 bathrooms, all of our new villas have large, attractive living and dining areas. Each villa also has its own private alfresco area – perfect for BBQs, or for just being able to sit and enjoy the peaceful atmosphere. What more could you ask for? 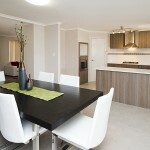 Inside you’ll have stylish, modern rooms with quality finishes and tasteful décor. 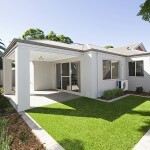 Outside, your garden is landscaped and fully reticulated, keeping maintenance to an absolute minimum. And remember, everything has been done for you! 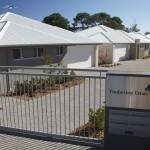 Moving house can be stressful, but Timbertop Estate aims to make life a little more hassle-free. So when you’re ready to move, it’ll be to a fully completed, spotless home. 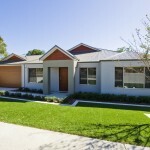 What else should you know about the villas? Timbertop Estate sold out in record time, but it’s never too late to get your dream home. Click here to contact us about our new and upcoming developments.